One of these is definitely the HDR10-compliant 5.84-inch display, which is employing both Gorilla Glass 3 and, yes, a notch. While it’s certainly an LCD endeavor, Nokia says the display can potentially really bright and be perfectly legible even under the exceptional brightness of broad daylight. Additionally, the display of the Nokia 7.1 is said to be automatically calibrating its overall tone in compliance with the environmental lighting conditions. Finally, as a form of cherry on top of all things, the device offers real-time SDR to HDR conversion of all user content. Design-wise, Nokia isn’t feeling very adventurous – the Nokia 7.1 relies on glass and metal in its build, with a rear-positioned fingerprint sensor. The device will be available in two colors: Gloss Midnight Blue and Gloss Steel. Hardware-wise, a relatively energy-efficient Snapdragon 636 will be powering the phone, alongside 3 or 4GB of RAM, as well as 32 or 64GB of e-MMC 5.1 storage. MicroSD card support is also a go, and so is a nifty USB Type C port. There’s a 3.5mm audio jack and a 3060mAh battery on deck as well, and thankfully, Nokia has employed fast-charging that can juice in 50% battery in around 30 minutes or so. Oh, and did we mention you can have the device in either single- and dual-SIM variations. At the rear, the Nokia 7.1 is equipped with two cameras, a main 12MP, f/1.8 one and another 5MP monochrome one that would be used for depth information. This allows for real-time “Live Bokeh” mode to be enjoyed by the user. At the front Nokia 7.1 features another couple of 8MP cameras that let you apply playful filters and masks to your face in real time. Bothies, Nokia‘s weirdly-named pictures combining data from both front and rear cameras, are also a go. Software-wise, Nokia is once again relying on stock Android. This has been a running theme for multiple Nokia devices so far, meaning you shouldn’t experience any software bloat at all. More importantly, you will get an experience similar to Google’s own Pixels – guaranteed two years of software updates to newer Android versions and three years of security patches is what you’ll get with the Nokia 7.1. 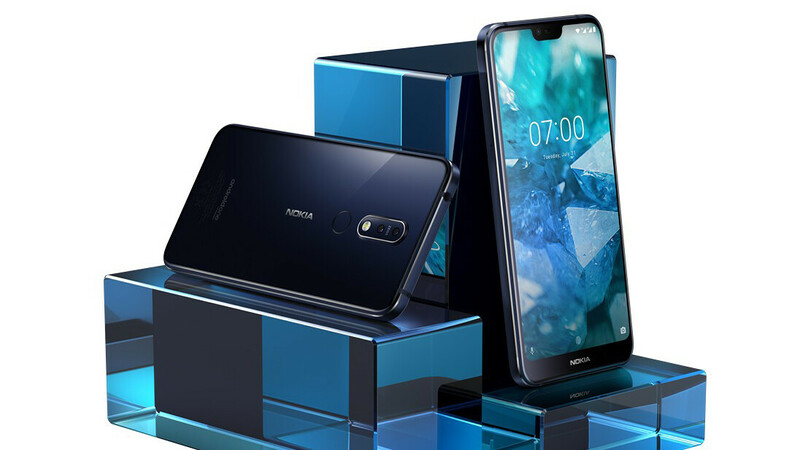 In the United States, the Nokia 7.1 comes in Gloss Midnight Blue and Gloss Steel and will start at $349. It will be available for pre-sale online at Amazon, Best Buy and B&H starting October 5, 2018 and will begin shipping on October 28, 2018. In-store purchasing and demonstration displays will also be available in select Best Buy stores starting November 4, 2018.